What a scorching Summer we are having this year! It’s hard to believe that just 4 months ago the country came to a standstill in several inches of snow. Naturally, the warm weather encourages people to head outdoors for Summer BBQs and festivals, but unfortunately it also brings the heat inside. In hotter countries, shutters are an extremely common way of keeping the heat out, and they are now becoming more and more popular in the British home too as homeowners begin to realise their benefits. In the scorching 25/30-degree heat, we all welcome the occasional breeze. With moveable slats, shutters put you in the driving seat, allowing you to control the airflow through your home. This keeps the fresh air circulating, meaning you can maintain a cool home whilst the sun burns outside. 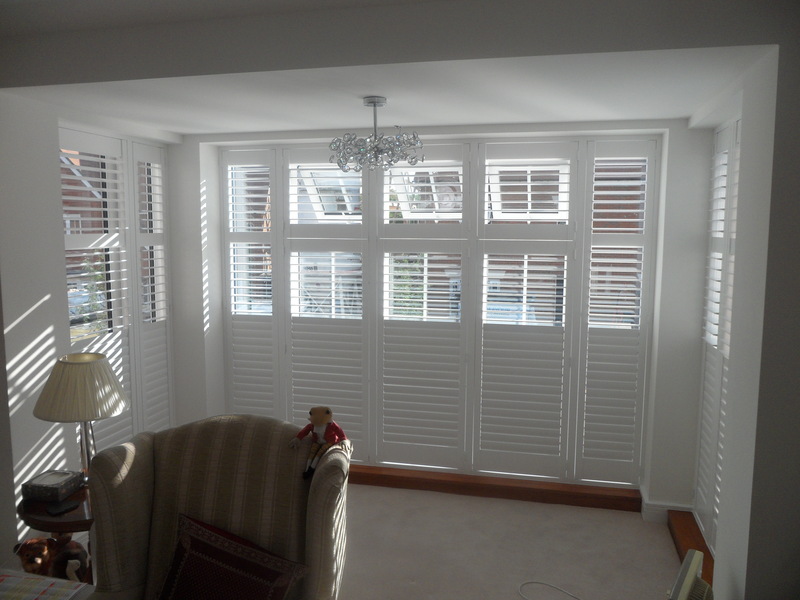 As the days get both hotter and longer, shutters help to keep out direct sunlight helping to keep your home shaded. They are also great at helping to stop UV rays from fading furniture and other items in your home. As mentioned above, the adjustable slats allow you to choose how much sunlight you allow into your home. How many of you have been looking at fans as a way to cool down your home? Although a practical(ish) solution, not quite as trendy as shutters. Shutters are thicker than fabrics and help to keep things cool by creating a physical barrier to keep the heat out and cold in. This increases the energy efficiency of your home, not just in the Summer sunshine but also throughout the cold Winter months. 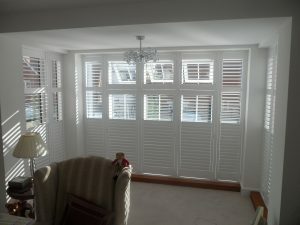 Shutters are ideal for the homeowner who loves to be in control as they are extremely flexible. In the stuffy temperatures, you want to let air in but may also be concerned about your privacy. The shutter slats allow you to choose whether you want them totally or partially opened to allow in light and air, while still guarding your privacy. However, if you want to enjoy the view outside, many shutters can be folded away providing the desired visibility. Although shutters have lots of practical benefits, they also look and feel extremely luxury and can be completely customised depending on your style preferences. Many of our customers claim that shutters have completely transformed their living environment, making it feel more homely and private. They work wonderfully in both living and dining rooms, however we also love the look and feel of shutters in kitchens and bathrooms. Having a Summer makeover? 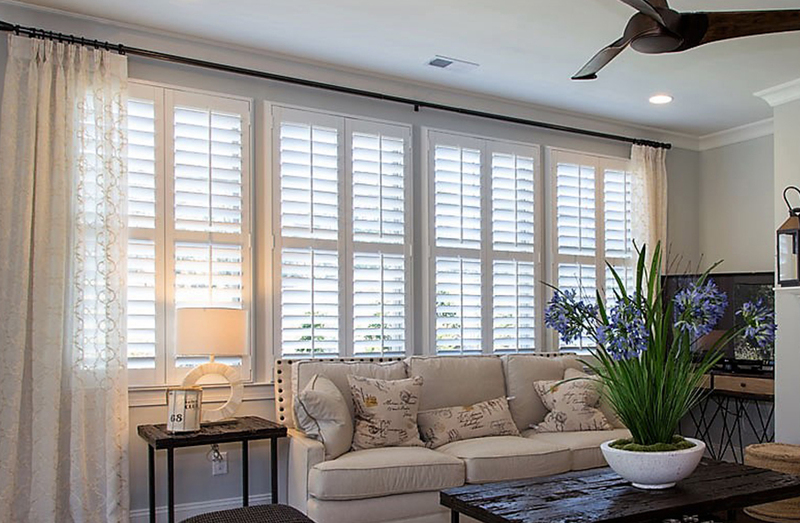 Shutters make the perfect Summer accessory. If you’re interested in learning more about the benefits of shutters, or would like a free, no obligation quotation, please contact us online.